At US Coffee, we understand that every office is different. While one office may love the way a Keurig brewer fits in their break room, others might want a different single-serve option. That’s why we carry coffee pods along with our pod brewing systems. In addition to being more affordable than K-Cups, pods are more sustainable and easier to recycle. 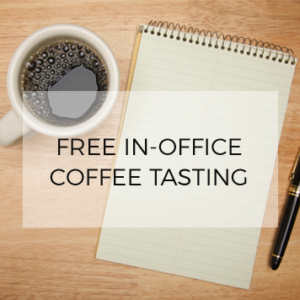 Whether it be Keurig or a pod brewer, our coffee experts are here to help you find the best brewing option for your office. Single-serve pods are different from K-Cup pods in that single-serve pods are not compatible with Keurig brewers, and K-Cups are not compatible with pod brewers. Coffee pods were invented before Keurig K-Cups and they’re built much differently. Single-serve pods, whether tea, specialty drinks or coffee pods, are constructed with the beverage sealed inside of filter paper, as opposed to being sealed with a cartridge (usually a plastic cup). The advantages of single-serve pods are their design makes them less wasteful, they produce a stronger aroma during the brewing process because they’re not sealed in plastic and they allow for better coffee extraction. US Coffee offers a wide variety of single-serve pods, including best selling brands like Café Classics, Marley Coffee, Organa and Wolfgang Puck. Single serve coffee is known for its convenience, speed and variety, but not many brewers factor in the environment. Thanks to pod brewing systems, you can brew delicious single serve coffee while being environmentally responsible. In addition to the benefit of using recyclable coffee pods, pod brewers also conserve more energy during periods of non-use. Make the switch to pod brewing systems and reduce your company’s carbon footprint! Sign up for a free pod brewer demo today.